The Environment Support Group (ESG) filed a Public Interest Litigation in the National Green Tribunal (NGT), Southern Zone, Chennai, questioning the decision to develop a massive nuclear-military-industrial complex in the ecologically sensitive Amrit Mahal Kaval grassland ecosystems of Challakere taluk, Chitradurga district, Karnataka, arguing that the projects were proposed in comprehensive violation of land use, siting, environmental and wildlife protection laws and also in total secrecy. The Tribunal in its decision issued on August 27, 2014 directed the Ministry of Environment and Forests (MoEF) and the Karnataka government to allow the projects to move forward only if they were in accordance with law and on ensuring clearance conditions were “verifiable and measurable” and open to public review. The Tribunal also decided to restore cultural, economic and social rights of local pastoral, artisanal and agrarian communities that suffered following the illegal transfer of 10,000 acres of the Kaval and specifically instructed project proponents not to build walls and obstruct in any manner Right to Life and Livelihoods and access to water of about 70 villages directly dependent on the Kavals. The Supreme Court of India affirmed the Tribunal’s decision on July 31, 2015. Defence Research and Development Organisation (DRDO) excavating Kavals for building weaponised drone facility. Is a disaster waiting to happen with high risk projects all grouped together? About 4,500 acres of Challakere Kavals has been diverted for testing and manufacture of weaponised drones by the DRDO and it has been stated in Court that the these unpiloted aerial vehicle (UAVs) will be used to contain internal dissent. 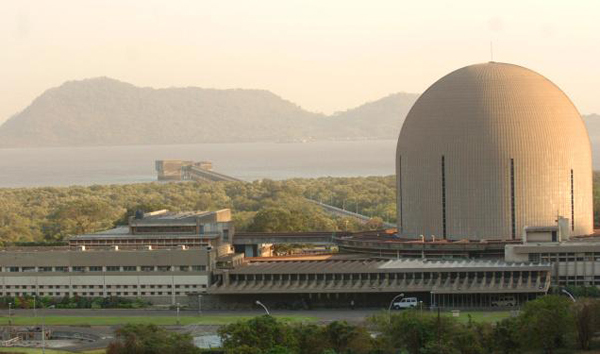 The Bhabha Atomic Research Centre (BARC) proposes to establish a Special Material (uranium) Enrichment facility to supply nuclear fuel to reactors and weapons production in over 1,800 acres. The Indian Institute of Science (IISc) has been provided 1,500 acres to build a synchrotron, but the Institute has repeatedly said it simply does not have the resources to build the facility. The Indian Space Research Organisation (ISRO) has been given 600 acres to build a space applications centre, though it is not clear what it proposes to do. Shockingly, Sagitaur, a private entity, has been provided 1200 acres of the Kavals to build a solar park for a pittance of a lease rent: Rs 33 lakh (USD 50,000); it is learnt that the company proposes to outsource this land as real estate for other industries. It is also noted by the Tribunal that Indian Army proposes to locate a Brigade here in over 10,000 acres of land that will be acquired. In addition, a range of industrial, urban and infrastructure projects are proposed in Challakere with investments from national and international corporations towards in building a massive military-industrial-nuclear complex. Neither local Panchayats nor local communities have been consulted in the process, and have been suffering the denial of a range of human rights. The Tribunal has recorded that the Kavals are an important habitat for the critically endangered Great Indian Bustard (only 200 individuals are estimated to survive in India and Pakistan), Lesser Florican (less than 2000 individuals survive), Black Buck, and range of endemic flora and fauna inhabit the grassland ecosystems. Over the past year, MoEF, the Karnataka government and project proponents were approached to provide information about compliance with the Tribunal’s directions. Various representations and petitions were made. There was absolutely no reply. Right to Information Applications filed were also ignored thus making appeals before the Central Information Commission inevitable. There were even attempts to misinterpret the Tribunal’s orders and divert attention from essential information about the project’s impacts. Prof M Sridhar Acharyalu (Madabhushi Sridhar), Information Commissioner of the Central Information Commission, issued an historic and unprecedented decision on October 23, 2015 in which he has slammed the Ministry for its delay tactics, fined the officers involved in the cover up, and directed the Ministry, the Karnataka Government and project proponents to make public immediately information relating to compliance with the Tribunal’s directions. Consequently, the Commission fined Ministry officials Rita Khanna and YP Singh Rs 10,000 which they were directed to pay as compensation to appellant Davis George Thomas of ESG. As a result, MoEF and the Karnataka government will now have to demonstrate what efforts they have taken to save the Great Indian Bustard from extinction and what efforts are underway in protecting the ecologically sensitive Amrit Mahal Kaval grasslands for posterity. Both BARC and ISRO are directed to provide copies of their applications for environmental clearances and release copies of the environmental clearances, if obtained, with the onus on MoEF to clarify accuracy of their statements. MoEF and the Karnataka State Pollution Control Board are directed to demonstrate how the clearances accorded have “verifiable and measurable conditions” as directed by the Tribunal. In regard to Sagitaur, MoEF has been directed to demonstrate compliance with the Tribunal’s decision to revisit the exemption from environmental clearance accorded to Sagitaur and such other mega-solar parks. IISc and Karnataka State Small Scale Industries Development Corporation have been directed to prove their compliance with the Tribunal’s order that right to water and cultural and livelihood access to Kavals has been restored. BARC has been directed to open up its fences to allow access to villagers and to also demonstrate along with IISc it they have developed a joint action plan to enable free movement for villagers through their allotted premises. The Commission has also directed ISRO to allow Appellants access to verify whether water sources are accessible to villagers, and to report back to the Commission. These decisions by the Central Information Commissioner restore hope that even agencies like DRDO, IISc, ISRO, BARC, etc. are not exempt from the Rule of Law merely because they claim “national interest” and “security” as reasons not to. The communities are energised by the Information Commissioner’s decision to restore access to their Amrit Mahal Kavals and will assert and reclaim their Right to Livelihoods, Water, Culture and Economic sustainability that had been secretively and illegally stolen by government agencies and project proponents.